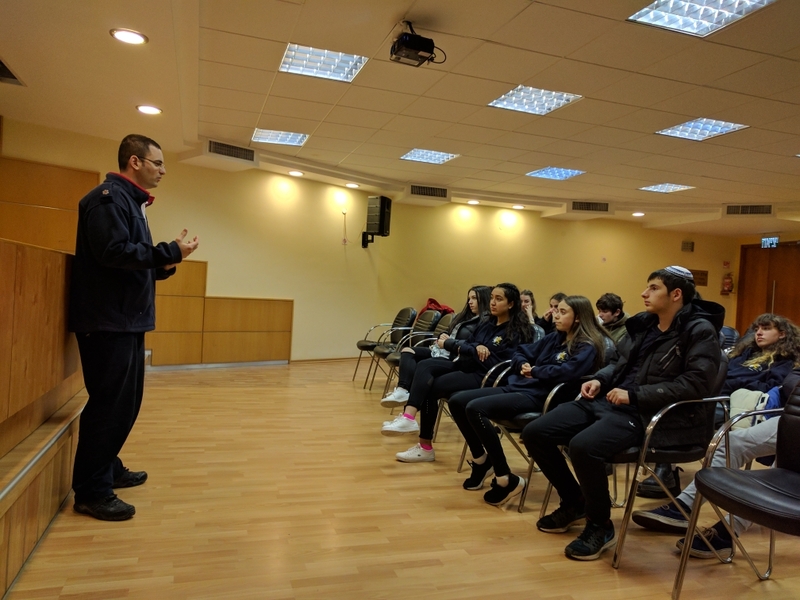 Ido Golan-Gutin spoke to them about the work of Magen David Adom Israel, and showed them two movies. 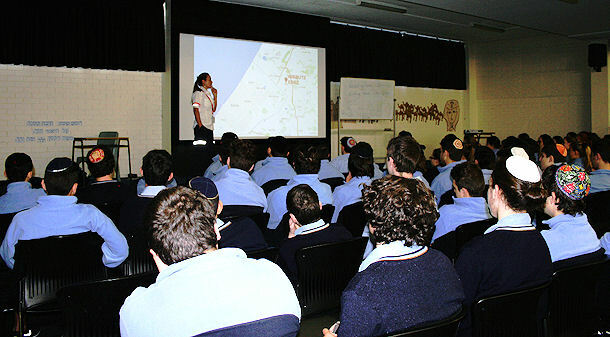 Year 10 Mount Scopus College visited the Tel Aviv station of MDA. 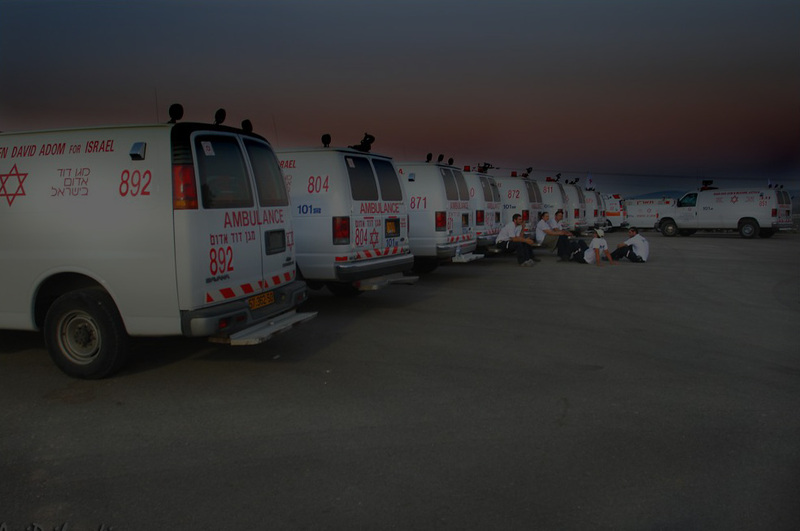 They were shown the different ambulances, standard and MICU. It all began when a group of Beth Rivkah College students decided to do something to support Israel. 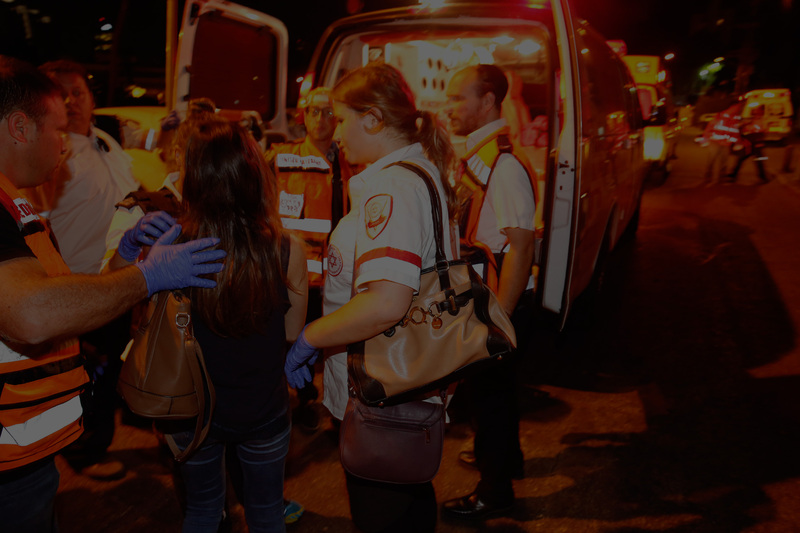 They decided to raise $22,000 for Magen David Adom to purchase a new First-Responder motorcycle. So, they started an “I Stand With Israel” campaign. The campaign went right across Melbourne and even as far as Perth in Western Australia! Over two months, they achieved their goal. Check out the video showing just how they did it! Two months ago, a group of us sat down in Rabbi Sufrin’s office brainstorming the most productive, yet personal, way to help and support Israel all the way from Australia. • What could we, a bunch of Year 11 girls do? • How could we make such a strong impact when we are so far away? • How can we make our impact personal? After a few hours, we came up with the “I Stand with Israel Campaign” badges, and ordered 2500, feeling overly ambitious. We came up with the badges because it is a way for people to express their pride for our homeland, as seen in the design of the Australian map with the Israeli flag as the background. 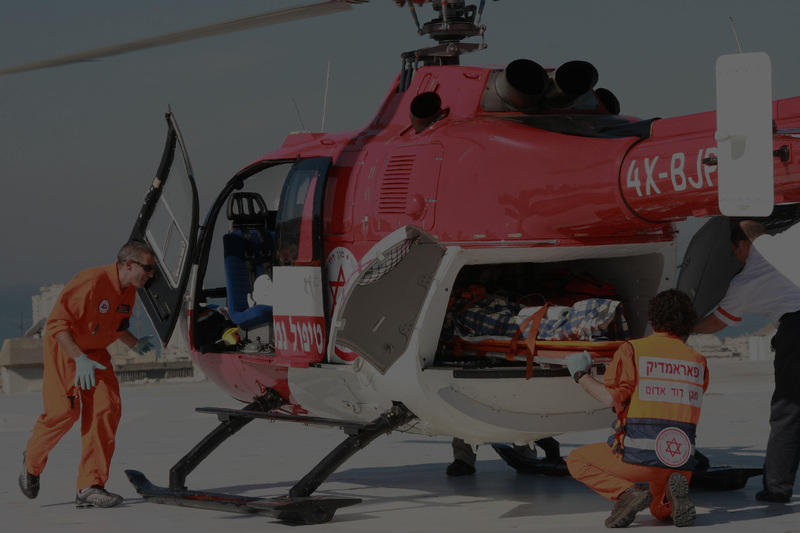 Our ultimate goal was to raise $22,000 in order to donate a new MDA ambi-cycle, a fully-equipped medical motorcycle. We chose an ambi-cycle because, in light of the recent terror attacks in Israel, the motorcycles are able to fit through the small streets and arrive at the scene faster than any other mode of transport. 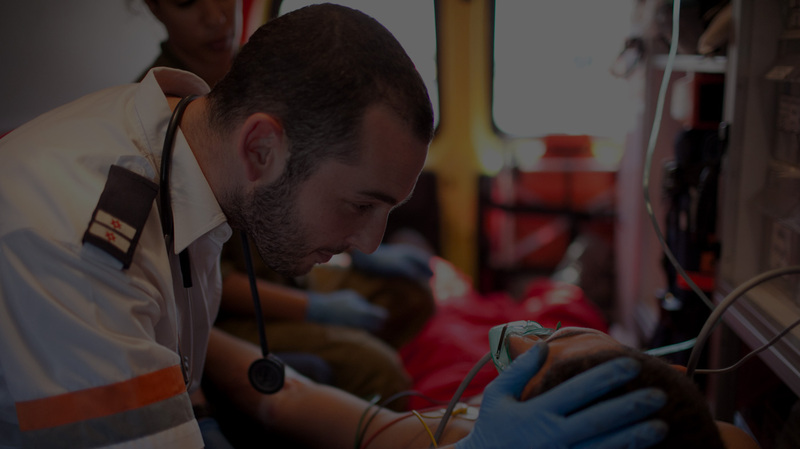 MDA treats all victims regardless of their race, religion or nationality. We were granted permission to kick off our fundraiser by selling the badges at “The Great Glick’s Challah Bake”. After seeing our success, we got in contact with numerous Jewish Day Schools across Australia in order to expand our campaign. This rocketed the campaign and donations began flooding in, both through the selling of the badges in schools and outside “Glick’s Cakes and Bagels” on Carlisle Street, and through the GoFundMe account that was created. 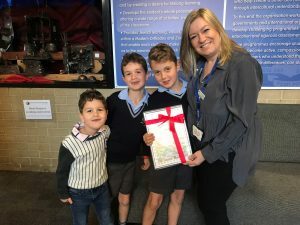 Other schools created additional fundraisers to help out, such as the MDAchallenge on Facebook, established by Yavneh College, and selling baked goods and icy-poles. In the past few weeks, numerous donors have generously given large sums of money to help us reach our final goal – and we’re proud to say that we’ve reached our goal! So, on behalf of the Year 11 Tzedakah Committee, I’d like to thank Rabbi Sufrin for enabling us achieve such amazing things this year, not only with the MDA fundraiser, but with tzedakah throughout the year. Thanks to all the Jewish Day Schools, communities and donors across Australia who have helped us impact the lives of so many Israeli citizens with the purchase of this ambi-cycle. Even if one life is saved by it, then it is worth it! MDA Victoria Co-President, Glynis Lipson, presents Beth Rivkah College with a Certificate of Appreciation Thank you to everyone at Beth Rivkah College for organising this incredible campaign. A special thank you to all the other Jewish Day Schools which supported their efforts and to all the donors to this campaign for your amazing generosity! 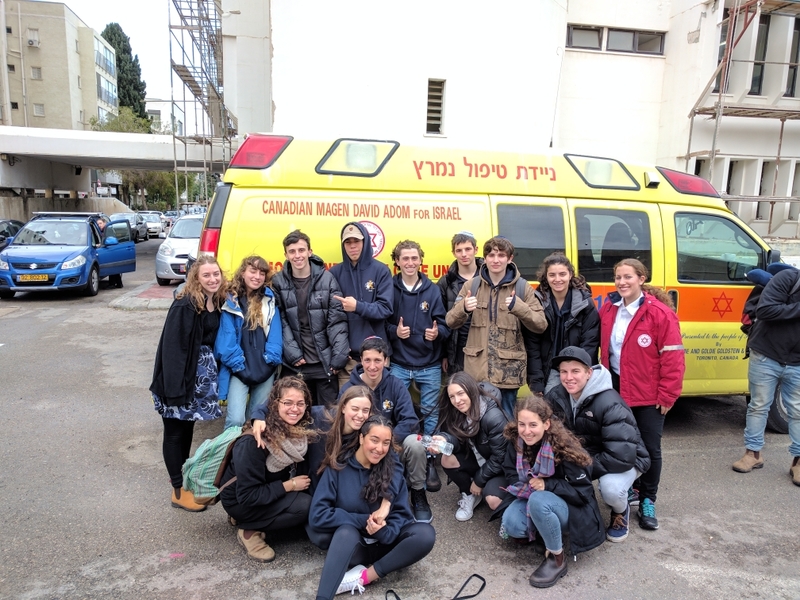 In December 2015, a large group of Bialik College students the MDA Petach Tikva Station where, as well as touring the station, they were given a short instruction in Basic CPR by MDA volunteers their own age – Eli and Tehila. 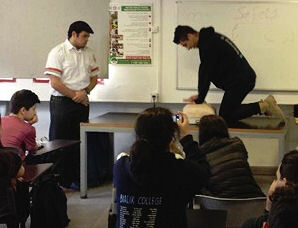 Following the instruction and practice, the students saw a presentation on MDA lifesaving vehicles, along with the advanced equipment used by MDA teams, some of whom are, again, young people their own age. 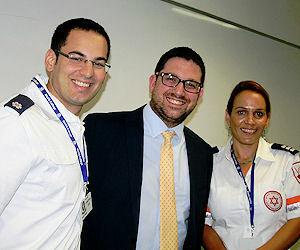 In July 2015, MDA Paramedic Ravit Martinez visited several Jewish schools, speaking of her experiences as part of the first international rescue team to land in Nepal following that country’s devastating earthquake. She told students of the difficulties treating the injured with no mains electricity and being surrounded by devastation, with people sleeping in the streets for fear of after-shocks. 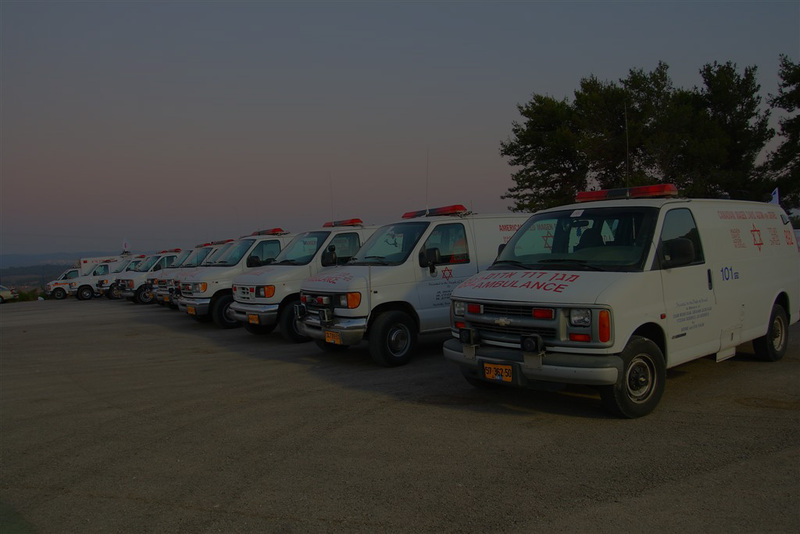 Ravit also asked students what they would do if faced with the paramedics’ internal moral dilemma when required to treat some Palestinians whom they know, given other circumstances, would probably pose a danger to Israel and its citizens. 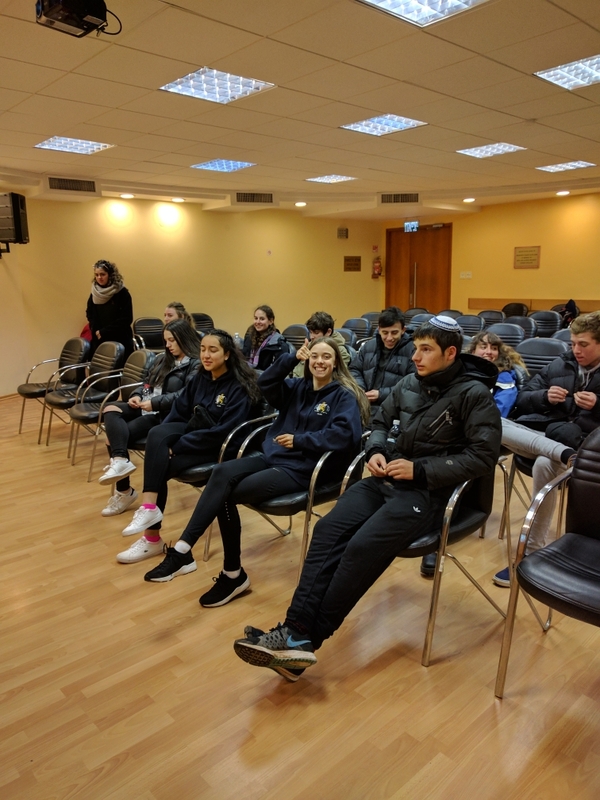 Ido Golan-Gutin, from MDA’s International Desk, also told students how important it was to MDA Israel to receive support from Jewish communities around the world, just like Victoria’s. – Year 11 Global Politics class and all of Year 9. Our sincere thanks to Dan Sztrajt and Brad Rychter for helping to arrange our visit to their school. 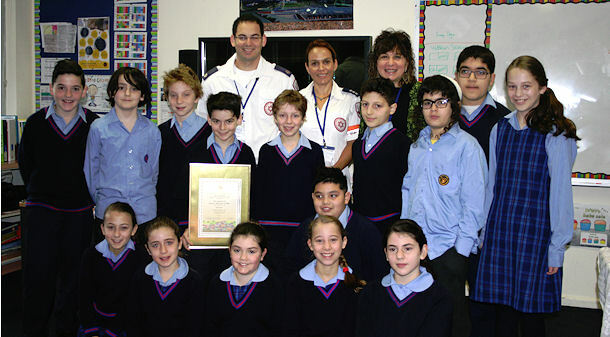 – the school’s Year 5 Shabbes Class raised $2,600 towards MDA Victoria’s Nepal Emergency Appeal. Thank you everyone! 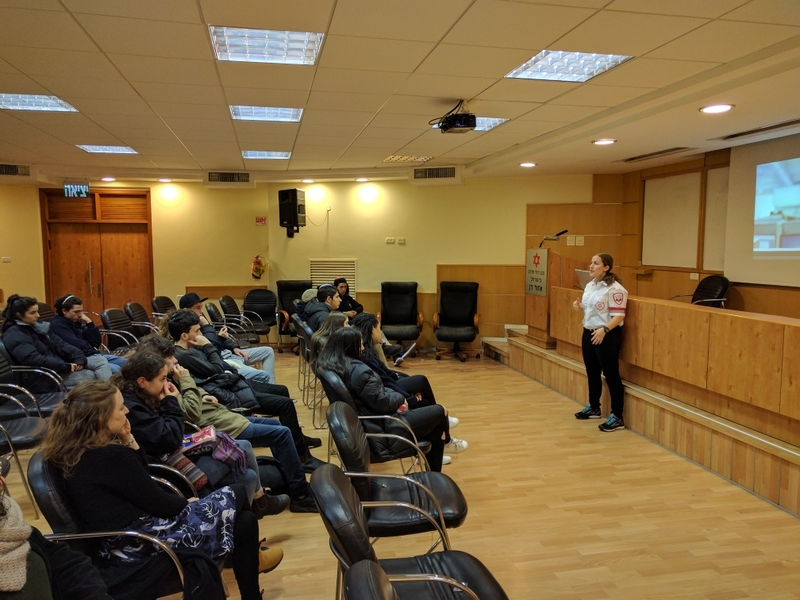 Thank You, Leibler Yavneh College! In order to raise money for Magen David Adom, forty two Year 8 students staged an 18 HOUR sponsored walk! As a result, they raised almost $6,000. To the school staff and all the students involved, we say THANK YOU on behalf of the people of Israel!